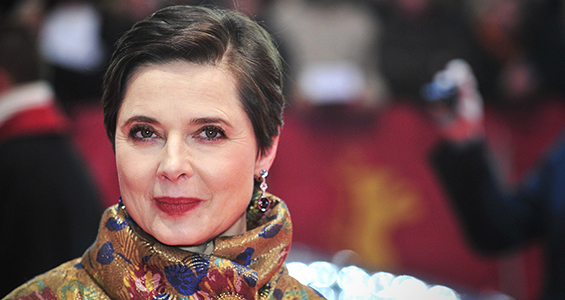 Isabella Rossellini, the daughter of Italian director Roberto Rossellini and Swedish actress Ingrid Bergman, whom this Year’s Cannes Film Festival is paying tribute to, has just been appointed head of the Un Certain Regard jury at this year’s festival. The actress and director was named president of the jury for the festival’s official selection, made up of 20 films due to be announced April 16. Rossellini, now 62, has had a place in film ever since she was born. She started her career as a dresser, and worked as a model, before taking up acting when the Taviani Brothers, family friends, gave her a role in The Meadow. She went on to star in such international films as White Nights, Tough Guys Don’t Dance, Les Yeux Noirs, Blue Velvet, and Wild at Heart. She has an affinity for arthouse productions, and at the request of Robert Redford, worked on The Funeral and Two Lovers in 2008, as well as a miniseries for Redford’s SundanceTV which looked into the reproduction, seduction techniques, and maternal behavior of animals. The Un Certain Regard prize will be awarded on May 23.